With this podcast, I am starting interviews with some really incredible experts. Julie’s publicist found me because of my branding! I was so impressed by that information. 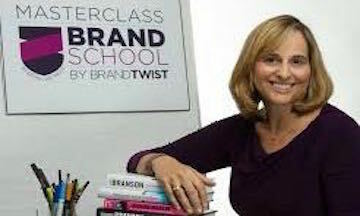 Julie’s a master of branding and you will really enjoy this interview! Julie Cottineau is the Founder and CEO of BrandTwist, a brand consultancy group that helps entrepreneurs and corporations build stronger, more profitable brands. Prior to launching her own business, she was the VP of Brand at Richard Branson’s Virgin Group, overseeing branding strategy for new and established Virgin companies in North America. sent me an email about her new book. I get all of these requests, so I need to check this out and see what it’s really about. We scheduled a call. A little bit of time with Julie, and I figured out she is the real deal. I want other people to know about this, as we move into our position of influence as leaders. The conductor has a very distinctive style. Watch for the twist of this interview as it is quite remarkable. This is Julie. Here is the interview. Hope you like it. Hugh: It’s Hugh Ballou, and my special guest is going to put a twist on your thinking: Julie Cottineau, and I am holding her book, which she so kindly gave me. I just couldn’t put it down. You have twists on every page. Let me read a little bit of the back. This is a cool picture of you, by the way. It’s a nice color scheme, and you represent what you teach with brand. “Julie honed her branding chops at a series of high-level client and agency positions, including Virgin Management, Grey Global, and Interbrand. She is a highly rated and engaged keynote speaker and a global authority on impactful and effective branding.” This is something that really got my attention, and I looked at some video testimonials. She is the creator of Brand School by Brand Twist, an actionable online branding class for entrepreneurs, small businesses, and nonprofits. Julie, I am lovin’ having you on this interview today. Thank you for being here. Julie: Thanks for having me here. Hugh: This might be second to CNN, but I love that name. I have watched your videos. You are very good on stage, and you are very engaging. I would say that you represent your brand. Why don’t you set a context? Why is brand important for people who are running any kind of enterprise? Julie: I think a lot of people make the mistake of thinking of your brand as your logo, your website, and the name of your company. Your brand is really your business. It is your organization. There is no separation between the two. For entrepreneurs and small businesses, it is your most important business asset. Hugh: I looked at the testimonies of people who had been to Brand School, and they said there was a remarkable difference in how they attracted people. We haven’t talked about my brand at all. I have some who are scattered. As far as the Hugh Ballou brand, I am the guy who shows up and teaches leadership with the tails on. I don’t know if you’ve seen the piece in Forbes or not, but people ask me if I’m the conductor guy. Julie: I love that piece. Hugh: It’s a twist. It’s what I’ve done and how I have repositioned myself. The leadership market is very competitive, as is the branding market. You talked some about your work with these significant clients. You worked with Richard Branson’s company Virgin for a while, didn’t you? Julie: Yeah, I was the head of brand for North America for almost five years. Hugh: That is when they were starting in North America. Julie: They had been there for a while, but that is when we launched Virgin America and made some serious inroads into other businesses as well. Hugh: That is pretty high-level work. Hugh: It’s in the book. Julie: And quit my job, and started my own company five years yesterday ago actually. Hugh: You’re one of us. You’re one of these entrepreneur people. Hugh: Why do you do this? What’s important to you about branding that you wanted to start a business? Julie: I think a great brand can make or break a business. Having a business that allows you to serve the people you are really passionate about serving can really change a life. I feel like I am helping people fulfill their dreams. Hugh: I can feel that. In front of a group of people, you come alive. Whether it’s five or 500, it’s still a group. It’s engaging, interacting, and helping people think in a twist, as you say. How did you come up with this brand for yourself, this twist thing? Julie: It actually happened about ten years ago when I was working for Interbrand as a brand consultant. I was in an airport, and I was beaten down by air travel. All of the airlines look and sound and feel the same. I was running late for my flight, and I stopped in my tracks because I saw this 747 with McDonald’s golden arches on the tail fin. I remember thinking to myself, That has a twist. That is something different. Maybe it will be colorful and service-friendly. Maybe I could have a regular seat and supersize it into a premium seat. From that moment on, I realized that is the way to do things. The funny thing was, it was a mirage. It was a reflection of the food court window, and there happened to be a plane parked behind it. But it really changed my personal and professional life in that moment. Hugh: That story is in your book, and that really spoke loudly to me. It’s a mirage, but it is a real clear vision of possibility thinking. Julie: I went back to the agency the next day, and I started changing the way we were dealing with our clients. I had a meeting at Avon a few days later, and I said, “Let’s stop thinking about Revlon and Mary Kay and all of these other brands that we consider our competition because we are just going to do ‘me too’ marketing. Let’s go in and talk about brands like BMW and Virgin and IKEA and Starbucks that have great brand experiences but nothing to do with cosmetics.” We had so many great ideas in a couple of hours. Hugh: That’s remarkable. You stressed that in various places in the book. The book is called Twist. Where can people get this book? Julie: You can get it on Amazon. Hugh: Novel idea. There is a website, thetwistbook.com. They can find it there, I’m sure. Julie: They can find it there, and they can see some fun videos called “Quick Twists” there as well. Hugh: You like to have fun, don’t you? Julie: I do like to have fun. Can you tell with the purple outfit? I am very passionate about what I do. For me, that is part of my twist. Hugh: I get that. That is inspiring. I work with a lot of highly passionate entrepreneurs, whether they are in a clergy, running a charity, starting a business, or growing a business. We’ve got all this stuff in our mind, and we don’t know why people don’t understand what we do. While we were warming up, I was telling you about a clergyman whose team had a contest to drop a new logo, but there are lot of parts to a brand. There is brand promise and brand image. Tell me what the components are of a brand and why it is so important for us to get it out of our head to something that is going to let people know what we do and why it’s important. Julie: I think the most important part of your brand is your brand promise, which in my school we call our brand idea. It is really important that your promise doesn’t just talk about what you sell or what you offer. It needs to talk about how you make people feel, what you are able to allow them to achieve. For example, in the for-profit world, Nike’s promise isn’t really about sneakers. It is about “Just do it.” It’s about achievement. It is much higher up in what I would call the brand pyramid. The reason why that is important is because that allows you to cut through all the noise. Having a brand promise with a twist allows people who are so busy and thinking about so many different charities, clergy, nonprofit, small businesses, those customers are totally overwhelmed. If you have that opportunity to have one or two minutes with them, you need a message that is going to cut through, and that is a message with a twist. Hugh: I like that twist thing. It’s getting under my skin here. I like to have fun. I told you that I worked for 40 years as a musical conductor, and I got to hire some great orchestras and work with big choirs. It is a rush when you have 200 singers, a 50-piece orchestra, and 1,400 people sitting behind you. I have transferred all of those skills of a conductor, which people think is a dictator but, really, we are enablers, empowerers, influencers. I have reframed my whole thinking and have helped people rethink their leadership. Part of the leadership is, what is the compelling reason that people need us? When I work with these enterprise leaders, part of leadership is the continuity, the pathway to profit. If I step in front of an orchestra or choir, we have to have the score; we have to know where we are going. I help people write their score and know their score and be able to create this high-functioning culture. A part of this score, which we call a strategic plan, and in my world we have relabeled it as a solution map. Where do you want to be, and how are you going to get there? A big part of it is our marketing plan, which includes our unique value proposition, our brand promise, and these other components of the branding. We skip over those pieces. I see a lot of people that are compromised. How hard is it to hone in on people’s brands? How can I make it better? If I don’t have a brand, how can I create one? It sounds like a lot of work. Tell me how hard that is. Julie: It’s about answering four very basic questions. My version of what you just described is a brand framework. My first question is: Who do you want to serve? It sounds counter-intuitive, but the narrower you can get on that, the better. Women 25-54 is not a target. All people who want to get healthy is not a target. All people looking for meaning in their life is not a target. You have to create a target avatar and what keeps that person up at night, so you can answer the second question. That question is: What are you really promising? Again, the what should not be a diet plan. It should be, “I can help you change your life.” We support that by why, why should you believe me? Those are three brand pillars, and those are three things that are about your point of view; your category; what is unique about you personally, like your musical background; and what your process is like with your products. The fourth question is how, which is the marketing. How do we bring it to life? What does our website look like? How do we dress? What does our office look like? What does our marketing look like? The biggest mistake that I see is that people think they have a marketing problem. If I had more money, if I just redid my website or my logo for the umpteenth time, people will know me. They really have a branding problem because they haven’t answered the first three questions. Hugh: You make a case somewhere that if you did it right, you wouldn’t have to redo your website umpteen times or rewrite your script umpteen times. Doing it right the first time is really important, isn’t it? Julie: If you are on your second or third web designer and they are not getting you and you are not happy with what they are doing, chances are it’s you, not them. You haven’t really taken the time to define your brand and give them a brief that has a twist so they can bring something to life that you will be happy with and will attract your target. Hugh: I encourage people to have mentors in different subject matters of expertise. It’s amazing how many leaders say they are going to figure it out. So you are going to fly a plane and not take any lessons? Don’t you think you need a flight instructor or a license? By the way, if you have passengers, don’t you think you are going to hurt people if you don’t prepare? What you just brought to mind for me is these are blind spots that we can’t see for ourselves, and we really can’t work through this unless we have a mentor. I saw on your site that you have a program where people can apply for consultation. Julie: We have these complimentary brand health checks. If they go to brandschoolonline.com and fill out an application, tell us about their business, and give us their URL, we will actually look at it, schedule a call, and give them some advice. Julie: It is fun. It’s fun, but you have to be open to it. The best way to get the most out of it is not to debate why you did what you did and how good your brand is. If you are going to take advantage of the expertise, be open. We give very loving, positive, and constructive criticism and input. I think you’re right. What you’re describing is called brand blinders. I think a lot of people are working 24/7 in a certain nonprofit or category, and we are looking at our competitors, and we are head down, doing the hardest work we can, but we don’t realize there is a whole other world of inspiration out there. Chances are, if you think about what your competitors are doing, you will end up doing the same thing. Frankly, that is a waste of money, time, and good will. Hugh: I have heard that recurring theme from several people in this series. This whole series of recordings is what I call the Pathway to Profit. What you are highlighting for me is making good leadership decisions. We are in a spot where we have a vision. We understand the end result. How do we get this out of our head and build a system around that that is actually going to be monetized? It’s not really about the money, but we are going to build a car that we haven’t learned how to drive yet. We also haven’t put gas in the car. The revenue is like the gas. Driving the car is like having people who work with folks like this. I’d love to work on a project with you because you are hitting a lot of the high points that I see people need to learn. Weigh in on leadership for me. There are leadership decisions that you have highlighted. I am not sure if you buy into this, but I am reframing leadership as the pathway to results, which is the profit we need to actually achieve our mission. What do you think the leadership decisions are that people need to think about? Now I believe that if you are rebranding, you should definitely launch it first with your employees. You should teach them the story, get their input on fine-tuning, and make sure everybody from the receptionist to the head of operations can tell the same story, but you should not develop it completely by committee. If you are the leader, you have to have the courage to say, “This is how we are going to go forward. We are going to learn. We may change it down the road, but we may not do it completely by committee from the beginning.” I don’t know if you agree with that, but I feel very strongly about that. Hugh: I work with a lot of clergy, and they want to go to committee. I say, “When did God ever give a vision to a committee?” It ain’t in the Bible. It’s really funny how we want to make sure everybody is happy. Getting ideas and input is not the same as you described, and there are ways to be in meaningful conversation and to nuance the decision. I think part of what leaders fear is they don’t want to upset people. Being a pleaser is not a good thing. I tend to be a pleaser. You have a vision, articulate your vision, and then I will make the call because it is my vision on the vision statement, the mission statement, and the branding. It is okay to have conversations, but they are not going to dictate your final decision. They can help you think about it. Julie: We start off every project with a brand differentiation workshop when I work with nonprofits and companies. I am a big believer in input in the beginning. Let’s get people together, not just marketing people, but salespeople, front line people, in the case of a clergy who are out working in the community. Let’s get the CFO, the head of HR. Let’s get a lot of opinions on the table in the beginning. Get them excited about branding; get them talking about branding outside of their category. I always ask everybody to come into a workshop with a brand that they admire that has a twist, outside of their realm of influence. As it progresses, then someone has to own it. I 100% agree. Hugh: It’s amazing how many high-level business executives have trouble with those decision-making processes, which is not a good leadership skill. There is a big gap in leadership skill there. Julie: It’s not really their fault. That is a lot of work that I do through Brand School and otherwise. Maybe they got to be a high-level executive because they are a subject matter expert, and that subject matter may not be marketing or branding. As you pointed out before, that is why it is important to have a mentor like me or you or someone else who can teach them, even if you are a 75-year-old CEO, to have the courage to say, “This is out of my comfort zone, Julie. Can you help me think about branding?” Those are the people that I like to work with and that I really admire. Hugh: I love it. We are on the same wavelength here. I do agree. A lot of really useful things in your book. I didn’t want to spend the interview going over the book because people can get the book and read it. I did look at the Brand School, and I wanted to go now. Who is a candidate? Who is it for? Julie: It’s really for solopreneurs, nonprofits, and small businesses who need the benefit of big-brand thinking but don’t have the time or the money. What I do is I work with small groups of 12 or so students per semester and create a community where we support one another. It’s online, but very high-touch. You see me, hear me, ask me questions, and talk to me. We have had students from all over the world: Israel, Canada, Spain, the United States. It’s a great way to do a lot of the heavy lifting yourself because I believe at the end of the day, any brand consultant is going to go away and you need to internalize the lessons, but have really top-quality guidance from me and the other faculty. Hugh: I love it. That is a good fit for people that are listening to this. You and I just met the other day. Somehow you found me. How did you find me? Julie: My publicist was looking for nonprofit leaders. Your name very quickly came up as a person who is a thought leader in the nonprofit segment, so I reached out to you. Hugh: Thanks. Something I’m doing is working, I guess. Julie: I love your twist. I am not just saying this. It is a great example. There are a lot of thought leaders out there, but right away your conductor twist, the fact that you live it on the pictures with the tails, the fact that you bring such an important metaphor, because I think organizational behavior is about harmony, being in sync, and positivity. I think it’s a fabulous twist; I wish I had thought of it. It makes me happy to see that there is proof because it stood out for me right away when I was doing my research. Hugh: I’d like to point out that we didn’t set this up. Hugh: I didn’t pay her or cue her. This just came out of the clear blue. Julie, you made my day. I love it. Julie: You’re blushing a little bit. Hugh: Okay, I’m busted. I like the fact that you have such passion about your work. You are very gifted at this. You want to give to people. You are a giver; I can see that. You want to help people. So you created lots of ways to help people. This is not an instructional video; this is to get people out of their box to start thinking in different ways. My whole calling in life is to help people reframe their thinking as leaders. Earlier in this series, a friend of mine for ten years, Cal Turner, went to his leadership team at Dollar General. That may be one of the national brands you recognize. Cal said to his team, “I got this job as CEO and president because my father founded the company, because of my genes. I have a vision, but I don’t have all the skills. You’ve got the skills. I claim the vision. This is where we are going.” Everybody stepped up, and they went public. Later he sold the company for 7.3 billion dollars, I think. What he said to me is, “Hugh, leadership is defining your gaps and being very transparent about that, letting those good people around you fill those gaps.” I think you are one of those good people. I look better than I should because I hang around smart people like Julie Cottineau. That does me good. I am really liking this interview, and I would encourage people who are listening to or reading this to get Julie’s book. Think about this branding piece. This clergyperson I talked to today said, “We really need to think about who we are and if there is a reason for us to exist.” There is a real fit in what I do and helping people think about their overall strategy, but there is a very distinctive niche that they need to reach out for expertise. I want to give them your website again. 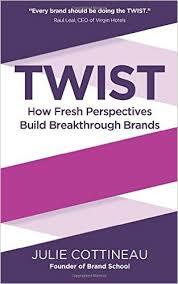 You said brandtwist.com is where people should start. Julie: Yeah, and if they are really interested in finding out more about the school or getting a free brand health check, they can also go to brandschoolonline.com. Everything is linked. You can find me anywhere. You can go to thetwistbook.com. You can google “twist,” and all roads lead to me. I’d love for people to tell me that they found me through your show. I’ll make sure we put them at the top of the list to help. Hugh: That’s a deal. I’ll push it out there. This has been really good. We could talk about this all day. You are so easy to talk with, and I love the ideas. I am going to ask you to give people a tip or a twist at the end of this. What is twist? Why is it important? Julie: Twist is really looking for something fresh, something different. Think about a twist of lime or a twist of lemon, something that is going to pep up and get people to notice. That is the first meaning. The second meaning is to twist with brands that you admire that are outside of your category. Don’t just get stuck with your brand blinders. Twist with brands that you love, like my McDonald’s story at the beginning. I was able to innovate an idea for an airline not by worrying about what other airlines were doing. I was able to do it because I twisted out of the category and thought about another great brand that stood for service in a completely different milieu. That is how you twist. Hugh: I like that word, milieu. I am going to tell them about your book and link again, and then I will ask for a concluding thought. Julie Cottineau. I have only made it through part of this book, but you gave it to me, so I will read it. A lot of people give me books that I don’t read. I will read this one, and you are welcome to test me on that. 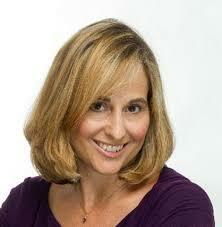 Julie Cottineau, brandtwist.com. If you want that health check on your brand, it’s brandschoolonline.com. As we part ways here, what thought would you like to leave with people? Julie: I would just say that if you stay where you are, you will get to where you spin. The really important thing for any leader for any kind of company is to lift your head up, look at other brands, look at the world around you, get inspiration from other places, and then find your special sauce. Back to McDonald’s. Find your twist, and express it everywhere. Hugh: Julie Cottineau, you rock. Thank you so much. Have a great one.